Numbness, tingling, or a burning sensation in your feet may mean you have neuropathy or a neuroma. Podiatrists Les J. Glubo, DPM, FACFAS, and Mohammad Rimawi, DPM, AACFAS, offer the most advanced neuroma treatments, including MLS® laser therapy, at Grand Central Foot Care located in the Midtown East and Murray Hill neighborhood of New York City. For the highest-quality care in neuroma and neuropathy treatment, call or book an appointment online. What causes foot numbness and tingling? In addition to numbness and tingling, this condition may cause shooting pains and balance issues. There are over 100 causes of peripheral neuropathy, but people with diabetes are especially prone to this condition. A neuroma is a painful condition that occurs when the tissue surrounding one of the nerves in your foot becomes thickened. Having a neuroma may feel like you have a pebble in your shoe or a fold in your sock. What are the symptoms of peripheral neuropathy and neuromas? If left untreated, neuromas and neuropathy tend to get worse. 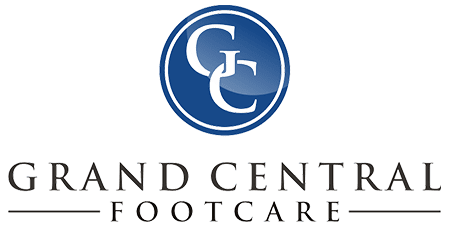 You should schedule an appointment at Grand Central Foot Care any time you experience foot pain that lasts more than a few days. How do you diagnose and treat neuropathy and neuromas? First, Dr. Glubo or Dr. Rimawi carefully evaluates your foot and reviews your medical history. To diagnose a neuroma, they may take an ultrasound imaging test to check for enlarged tissue. They may also perform a diagnostic heel injection to confirm the nerve that causes your symptoms. Then, they develop a personalized treatment plan for your specific condition. Dr. Glubo and Dr. Rimawi offer surgical procedures to treat neuropathy and neuromas, but they offer a variety of treatments to avoid surgery whenever possible. Grand Central Foot Care offers a full supply of disposable medical equipment all within the office. They also offer Multiwave Locked System (MLS®) laser therapy, a fast and painless treatment that uses light energy to reduce foot pain and swelling and speed recovery in damaged cells. Foot pain or numbness shouldn’t be ignored. 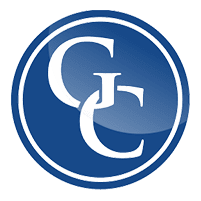 Call Grand Central Foot Care or book an appointment online today.